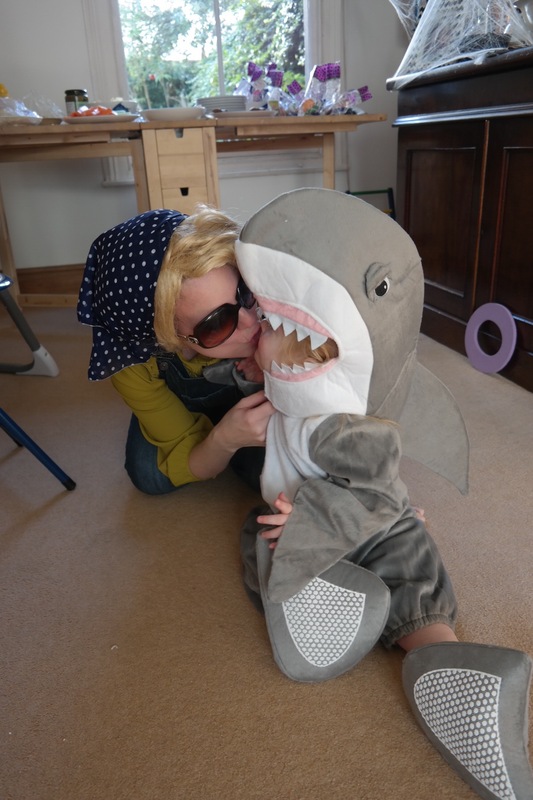 Once upon a time, Ted and I were fancy dress fanatics. 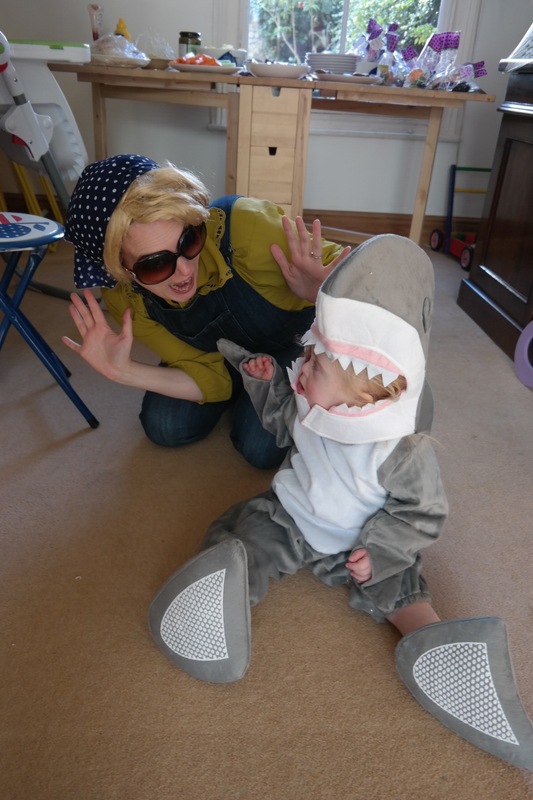 Halloween would be the peak of our costume creations (in part due to the Brighton Zombie Walk we attended every year). 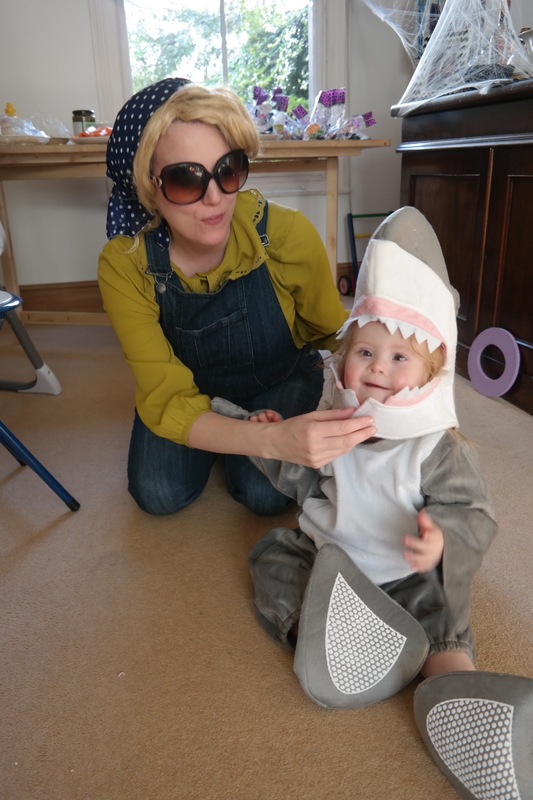 But times change and babies arrive… We haven’t had many costume parties to attend or much time to devote to cutting, sticking, sewing etc. 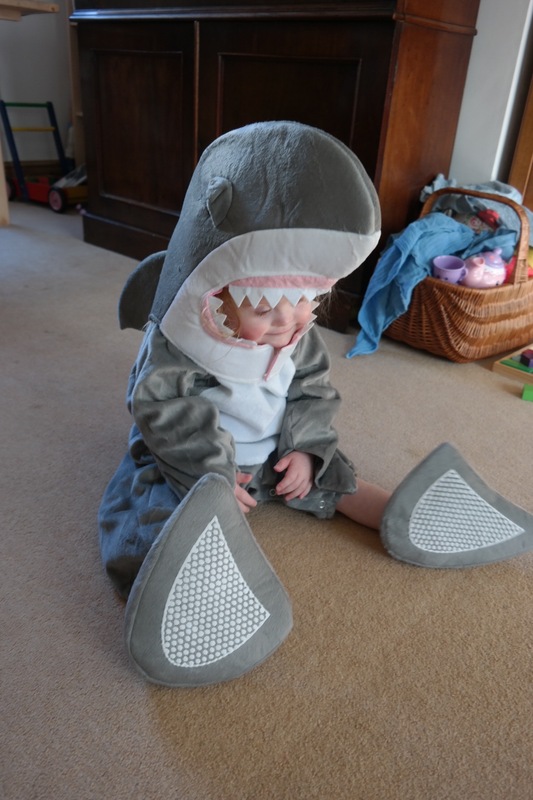 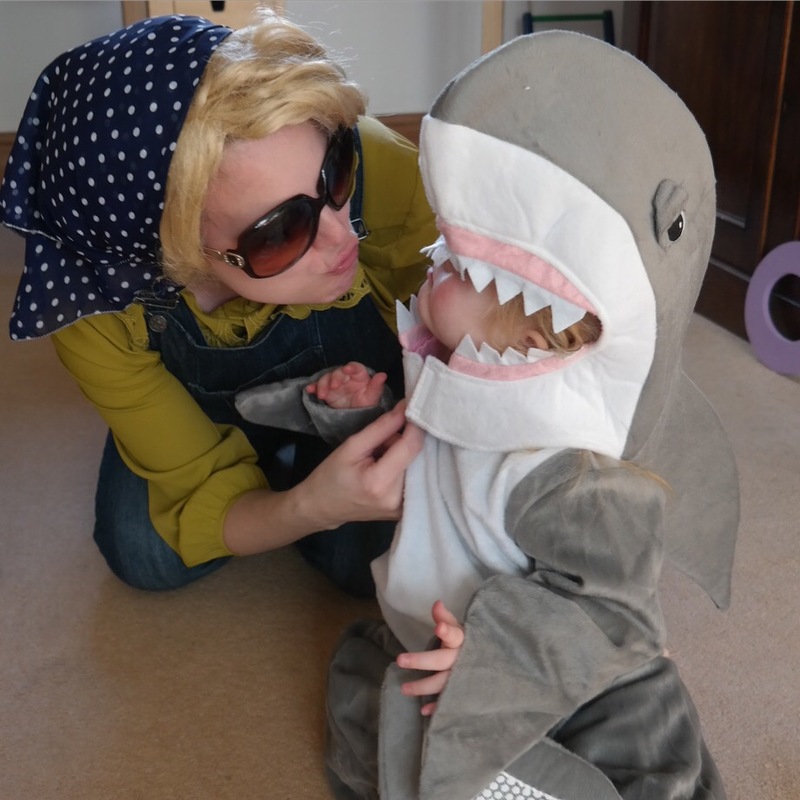 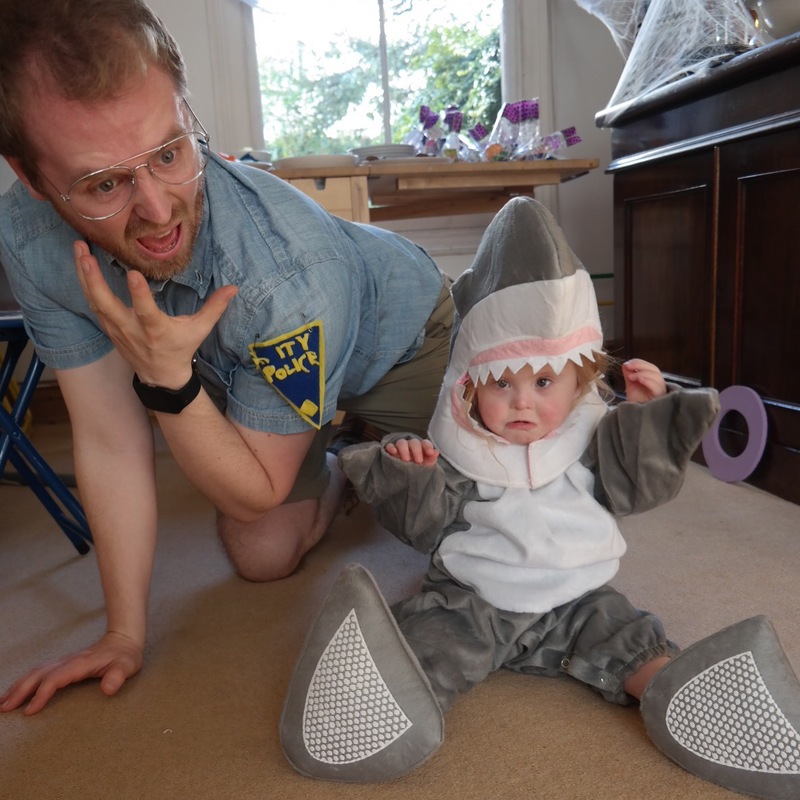 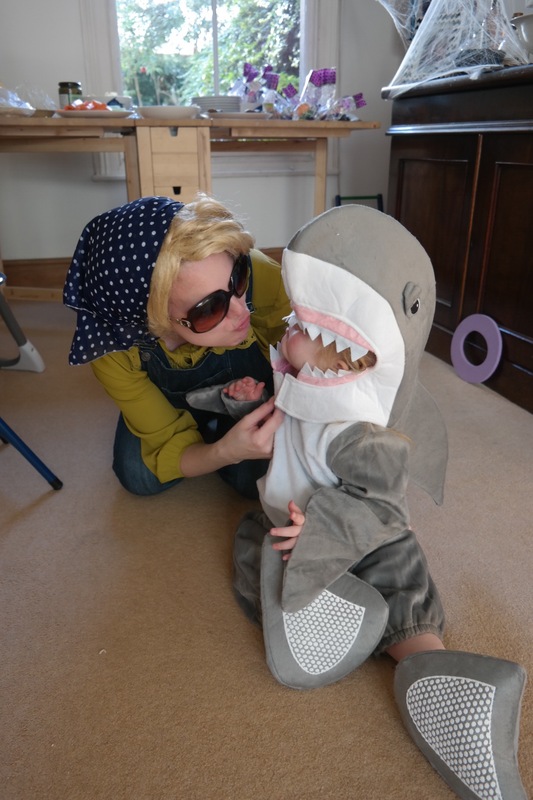 However I have been eagerly awaiting the chance to have an annual Halloween bash where Audrey can wear a costume and we can make spooky treats for her to eat… This year Ted dressed as Sheriff Brody from Jaws, I was his wife and Audrey… Was the SHARK! 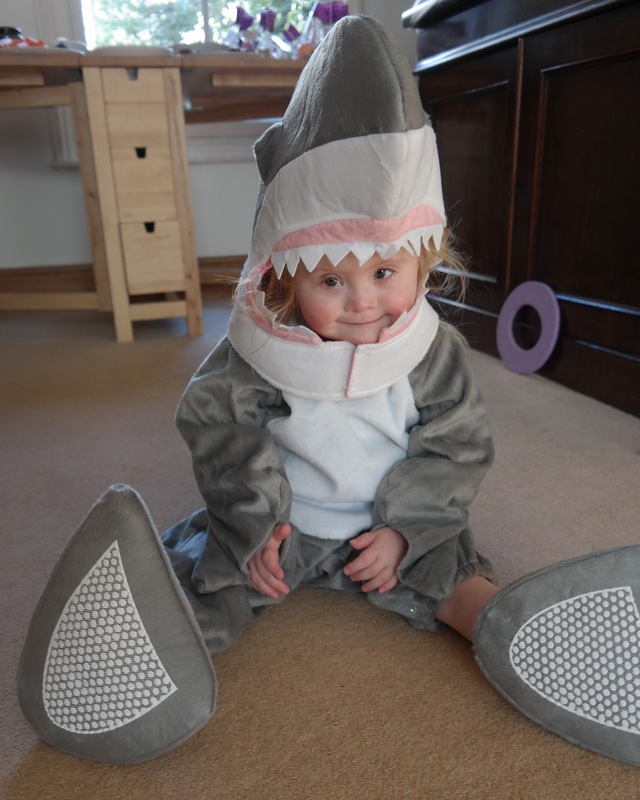 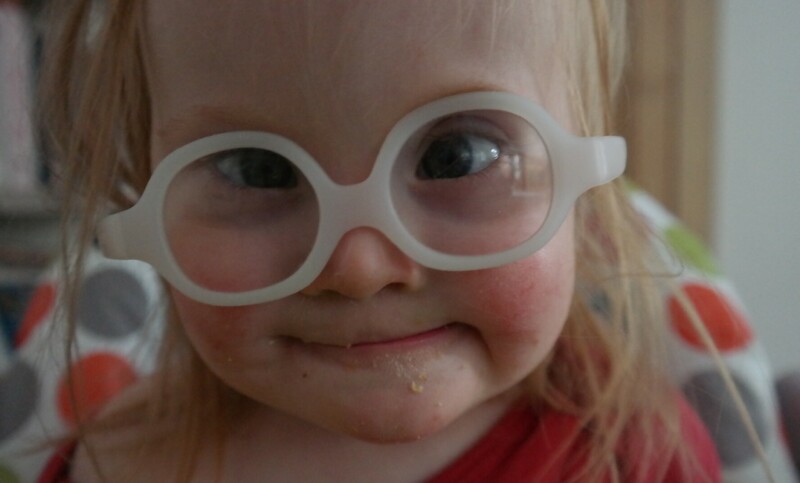 Enjoy the pics and Happy Halloween!